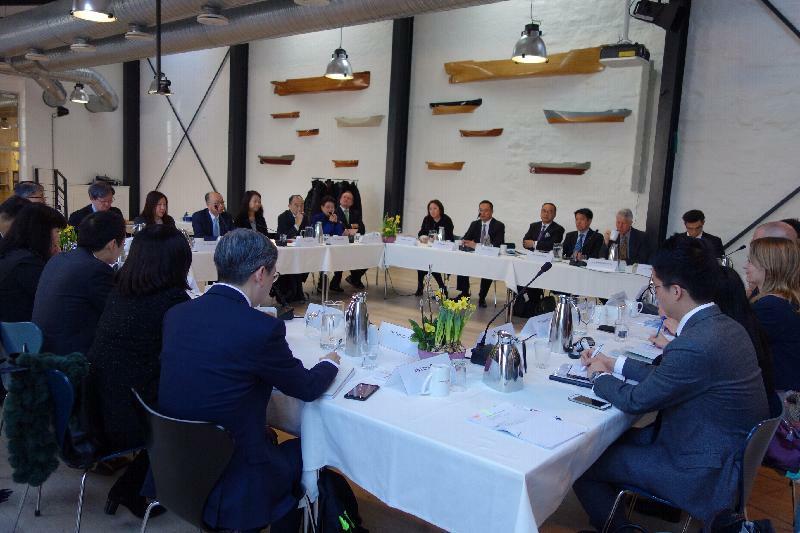 The delegation of the Hong Kong Maritime and Port Board (HKMPB) led by the Secretary for Transport and Housing, Mr Frank Chan Fan, arrived in Copenhagen, Denmark, today (March 11, Copenhagen time) and began their visit to Nordic countries. In the morning, Mr Chan and the delegation called on the Danish Maritime Authority to learn about the latest developments and the way forward of the maritime industry in Denmark, and explore collaboration opportunities for the two places. 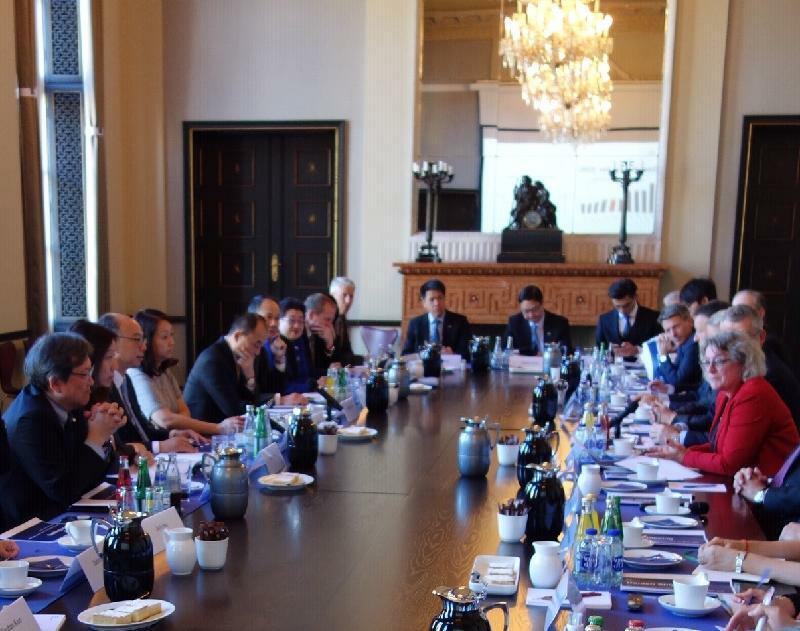 At around noon, the delegation had lunch with representatives from the Global Maritime Forum, a Copenhagen-based international not-for-profit foundation dedicated to promoting the global development of the maritime industry. Mr Chan thanked the Forum for hosting its inaugural annual summit in Hong Kong last year and expressed the hope that both sides would continue to work closely in the future. 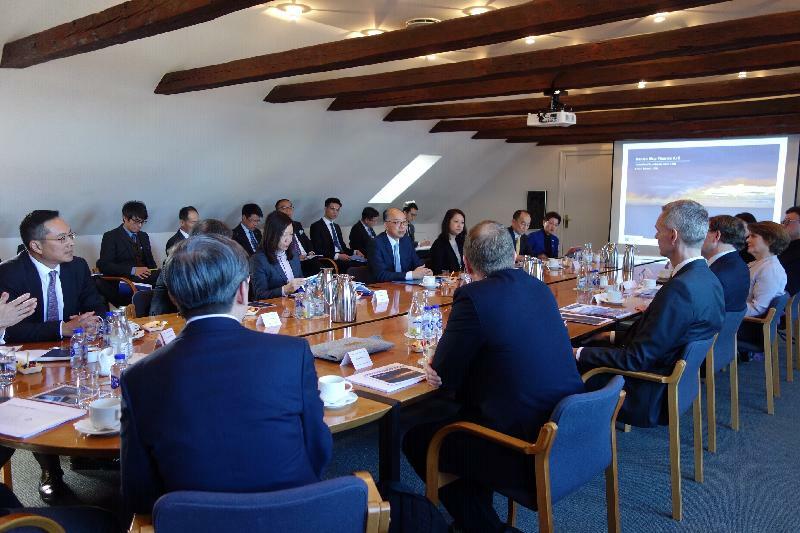 In the afternoon, Mr Chan and the delegation met with representatives from Danish Ship Finance and the Danish Maritime Fund to learn about the development of the ship finance industry in Denmark and the Nordic region, and to promote Hong Kong's ship leasing business and other high value-added maritime services. 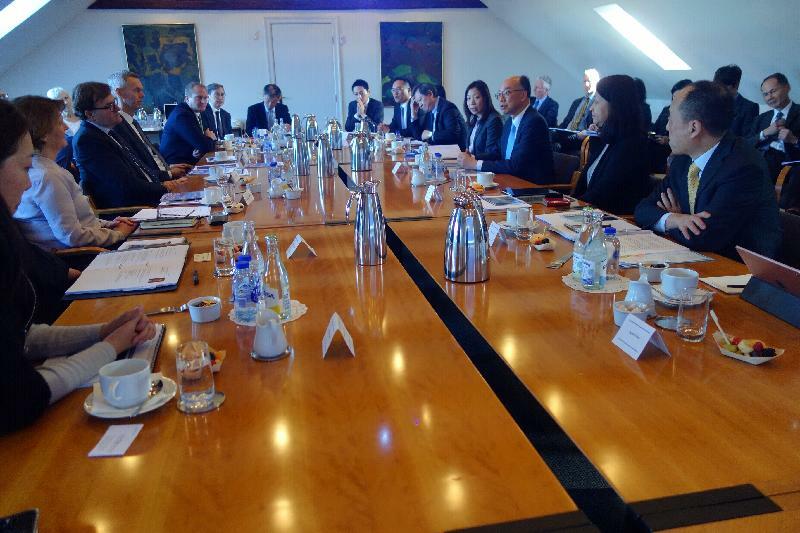 Mr Chan and the delegation then held a roundtable meeting with the Baltic and International Maritime Council, Danish Shipping and the Danish Shipbrokers Association to discuss global maritime issues of mutual interest and to promote Hong Kong's strengths as an international maritime centre.